"Get Grandfathered Access to Our Mixtape Platform and Manage Your Entire Client Business, From One Central Dashboard..."
One Time Fee, No Monthly Charges. "The Mixtape Platform was Designed to be the Only Project Managment Tool You'll Ever Need..."
....for a FRACTION of What Other Tools Cost! Both Robert and I have been doing projects in our marketing businesses for years and one day through conversation we realized that both of had the same problem. We could never find a project management system that fit what we really needed as Internet Marketers you take on clients, run ads, manage a team and so forth. Not only that but many of them came with steep monthly fees that just didn't make sense considering the lack of key features for marketers like us. That's why we decided to create one ourselves. Its taken us over a year to develop but we finally created something that anybody who takes on clients (that's you) can use daily. Not only did we develop features that no other tool out there has, we decided to forgo all the restrictions and charges that other platforms offer. As you can see many of them literally charge you more for growing your business! 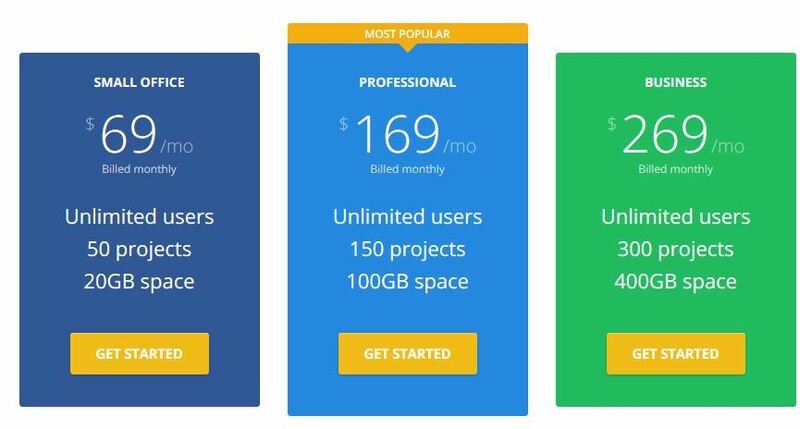 You pay more for users, storage and even the number of projects you run. "Your Grandfathered License gives you Unlimited Usage and All Future Upgrades at No Additional Cost..."
With Mixtape you get unparalleled freedom to create as many projects as you need without restrictions. We also allow unlimited users and storage which you just won't find with other platforms. You also get access to ALL FUTURE Upgrades at no additional cost. As a platinum grandfathered member, you'll never have pay for any additional features we add and we are constantly adding new features based on our user feedback. That's right as part of this special offer, you get to use Mixtape as much as you want with no restrictions! Plus we are continuously working to upgrade the platform and make it the most user friendly, marketing based PM system on the Planet! We will even take your feedback into strong consideration, we've already added features requested by our earliest members. The bottom line is by combining Local Lead Drop 2.0 and the Digital Client Masterclass with the Mixtape Software you'll have everything you need to handle all the business coming your way. The best part is you can manage the entire process from just one simple dashboard and even keep up on the go with your smartphone! 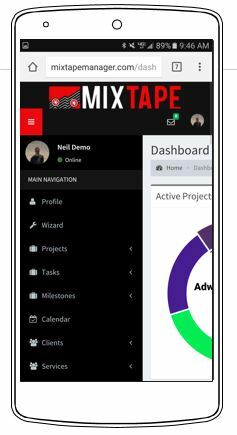 In addition to having all the standard features you would expect with a PM system (projects, tasks, calendar, etc) Mixtape is designed specifically for people who take on clients. Easily add your client information to the system so that you can track everything you've sold them and what you are doing for them. Keep all your client information in one central location and even attach them to specific projects. 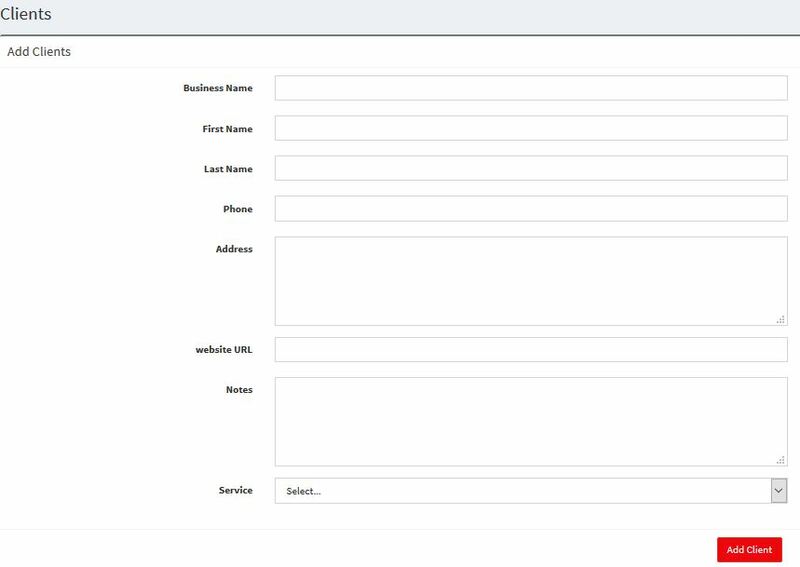 You can even add the services you sell, attach them to a client and automatically populate the associated tasks...pretty sweet! With Mixtape you have the option to create your client an account so that they can track the progress of their projects. In their portal you can create a comment thread with them to communicate about things related to a given project. You or your client can also upload files to the project from a computer, dropbox or even Google Drive! No more weeding through client emails to find the files you need! We recognize that you may not want your employees or outsource workers to have access to your entire business, so we gave you the option to control what they see! You can either let them only see the things that pertain to them in their employee portal if you choose. You can also choose to give anybody "Manager Role Access" which gives them access to everything you have access to. This is great for your admin or assistant to help manage the team for you! Many marketers like you work with people remotely and often times training them can be difficult over hangouts, webinars or other means. That's why we created the "Training Portal" so that you can easily upload training videos (even by other people) and add them to your employee dashboard. This makes it super easy to get things accomplished fast without the need for long drawn out meetings or answering questions over and over. 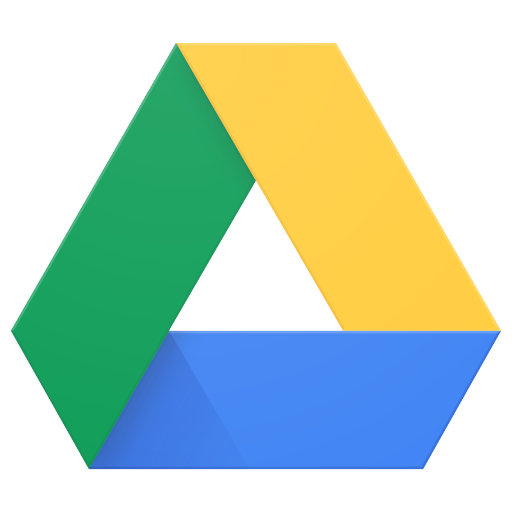 In addition to giving you unlimited storage within the Mixtape platform we've also integrated Google Drive and Dropbox so you can easily upload files from either one. This is just one of many integration we've been adding recently to make Mixtape the ONLY project management tool you'll ever need. No other platform offers this of unlimited storage AND integration with your favorite storage sites. Save time with one of our favorite features by automating the task creation process. Once you add your services to the system, you can add the task that will need to be completed each time you sell that service. Then simply add that service to a project and all of those task will automatically populate for you. HUGE TIME SAVER! 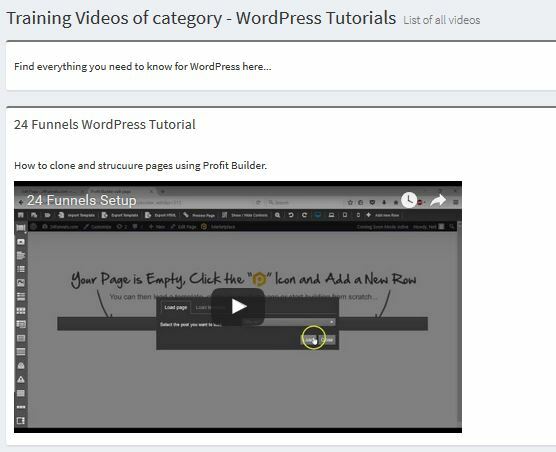 To make it as easy as possible for you to hit the ground running we added an easy setup wizard to walk you through getting started. With the Wizard you can add you clients, services, task and team members in bulk fashion instead of manually one by one. You can also go back to the Wizard and use the bulk add feature at any time. Get started in no time! Mixtape works great on all devices including smartphones, tablets and laptops. You can easily keep up with all your projects no matter where you go! This feature makes it great for managing your team, communication and anything else you need while on the go running your business! 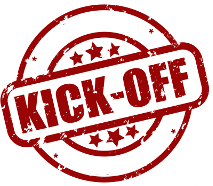 To make sure you are able to make Mixtape work for you from the get go, we are going to give you a recording of our latest kickoff session! We everything that's possible with Mixtape and many questions that are relevant to you as a new user. Plus we'll show you all the cool tips and tricks that make it even more awesome to use! 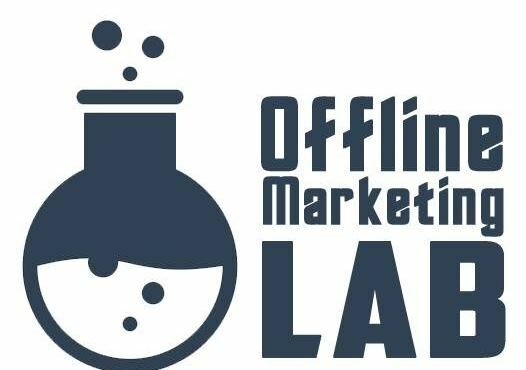 In this training Robert shows you everything from getting your agency set up to building your network, several killer lead generation methods and clever outsourcing tactics. Robert breaks down everything you need to build a consistent Six Figure income selling services to local businesses. As you've seen by now we could easily charge way more for Mixtape and it would still be well worth the price of admission. While we want to be able to offer this deal forever we simply cannot do that because of the ongoing cost involved in running and growing the platform. 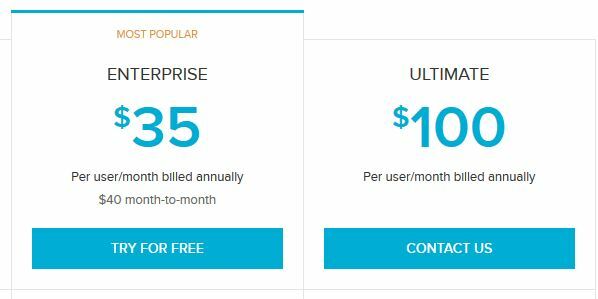 In the very near future we will be moving to a monthly/annual ONLY subscription model (still with unlimited usage) and no longer offering this grandfathered deal. Take advantage today and you'll be grandfathered in with all future upgrades at no additional cost EVER. Plus you get unlimited users, storage and projects anytime you need them! You also get our exclusive bonuses which will expire once this deal is over. By combining our Mixtape platform with the Instant Agency Theme and Digital Client Crash Course you'll have everything you need to crush it with local marketing while keeping everything on track at all times.